Less Effort, More Awesome: Fresh and Easy Cake Creations. If you love creating awesome cakes for your bakery, you’re going to flip for these inspiring cake ideas. Great for busy bakeries and new cake decorators, these designs are totally fresh and super easy to create with our timesaving, on-trend new products. Who’s ready to share the love? Influenced by Mexican textiles, embroidered cakes are a red-hot trend. 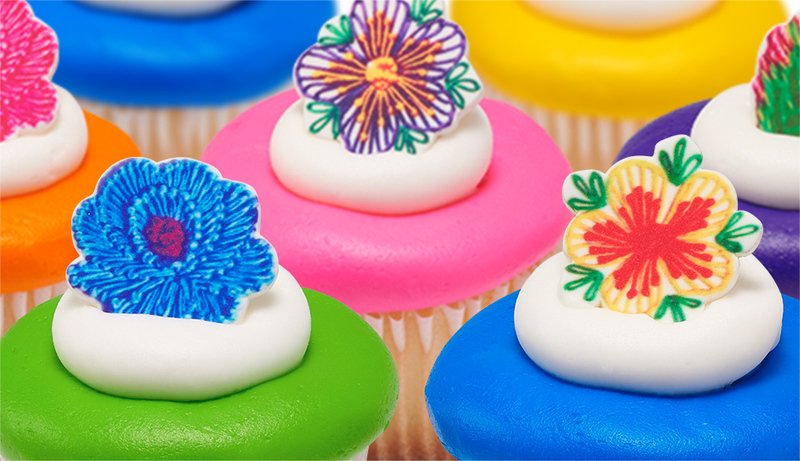 Our new Sweet Décor™ Embroidery Flowers Assortment let you create colorful, embroidery-inspired cakes without painting on or piping the stitches in icing. 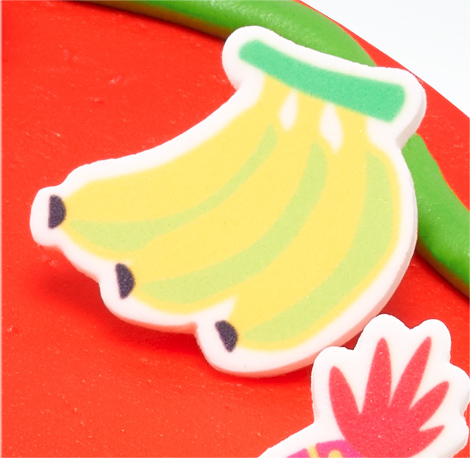 Create tropical cake designs year-round. 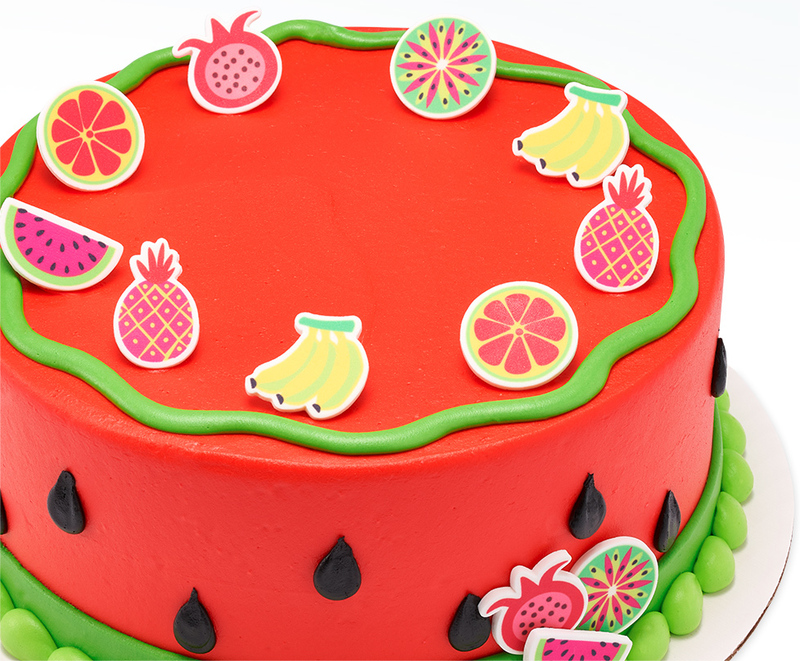 Our Sweet Décor™ Vibrant Fruit sparked the idea for this fast and fabulous watermelon cake. 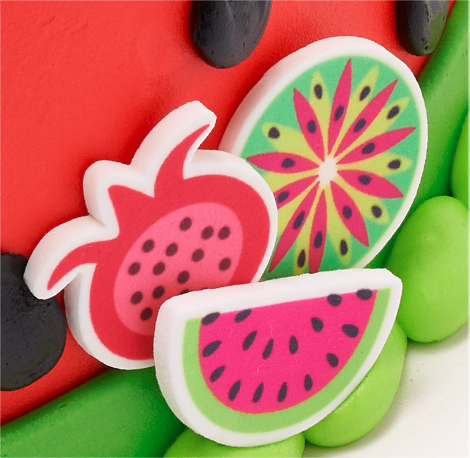 Simply ice a cake in red buttercream, add Neon Bright Green top and bottom borders and create “seeds” of black buttercream. Top off the look with a Sweet Décor™ Vibrant Fruit medley and summer has arrived. 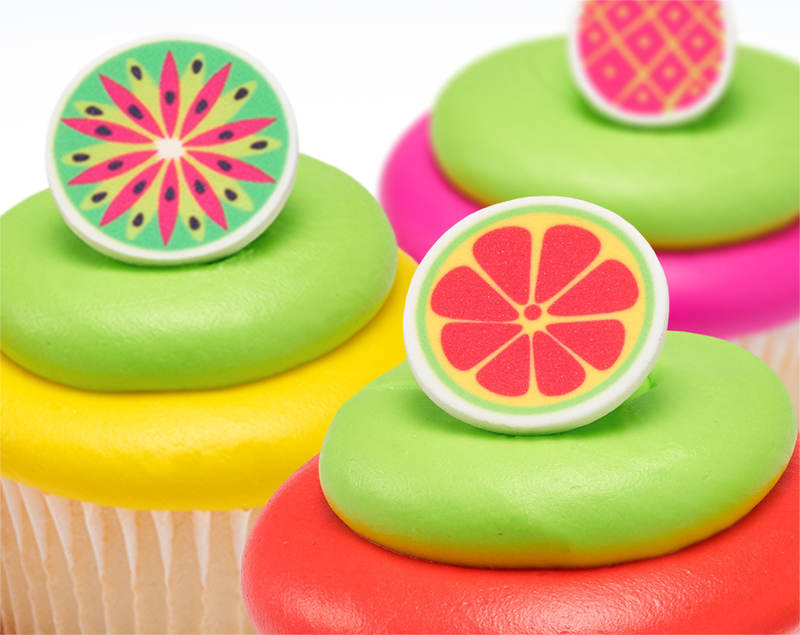 For the matching cupcakes, Neon Bright Green complements the fun, fruit-shaped pieces with an extra pop of color. What happens when two big trends show up in adorable, doll-sized proportions? They become absolutely irresistible! 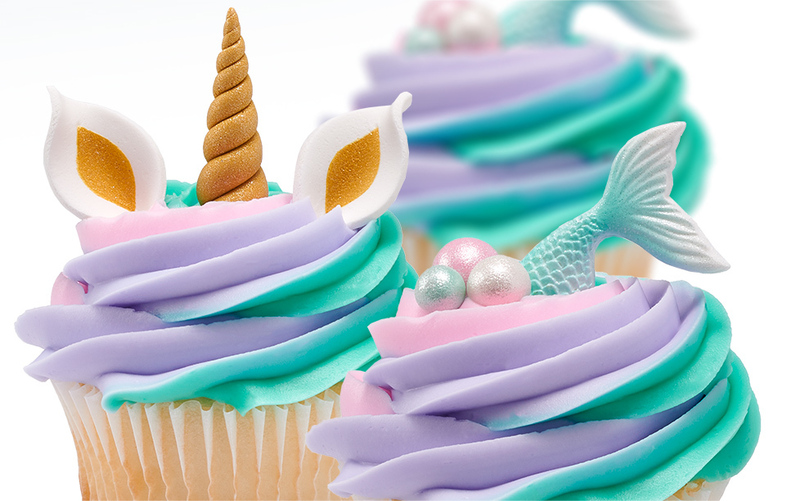 The scale may be small, but the opportunity is gigantic with our Sweet Décor™ Mini Unicorn Creations and Sweet Décor™ Mini Mermaid Creations. Add them to a base of buttercream swirls, and watch these magical treats disappear as fast as you can make them. Decorating with chocolate adds a trend-forward “wow” factor to cakes. But, handling chocolate can be tricky. That’s why we simplified things for you with two great new custom products: Dobla® Meltable Chocolate Trays and Pre-printed Dobla® Chocolate Sheets. Easily capture the encrusted chocolate trend with our Dobla® Meltable Chocolate Trays. To use, melt the chocolate in the oven, add your favorite sprinkle or fusion mix to the melted chocolate and cool to harden. Then break into pieces and adhere to cakes with a bit of buttercream icing. 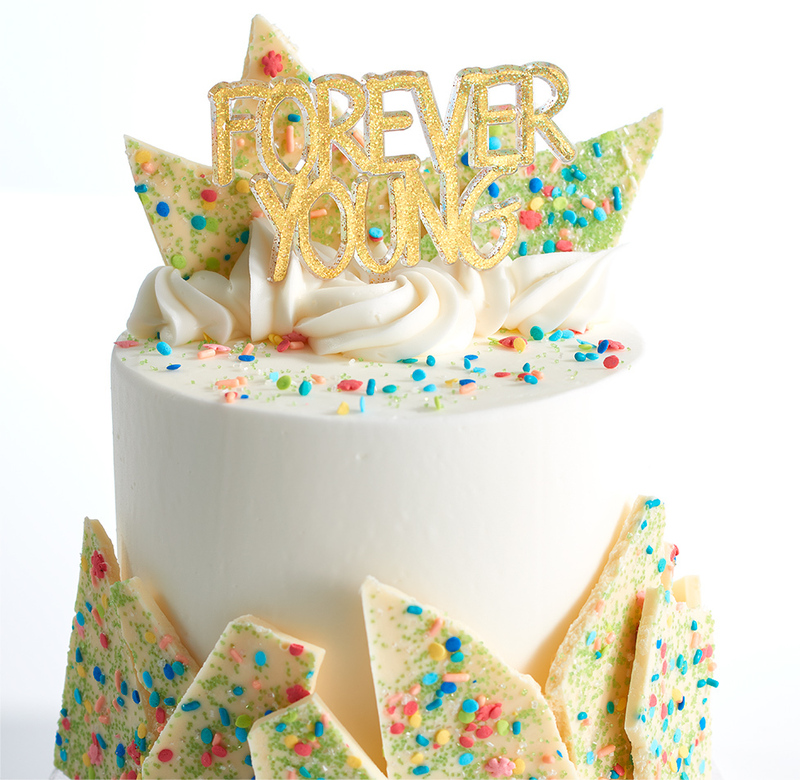 Here encrusted white chocolate pieces adorn a glamorous and decadent cake topped with a Forever Young Layon. An even faster decorating option is to use our Dobla® pre-printed chocolate sheets. 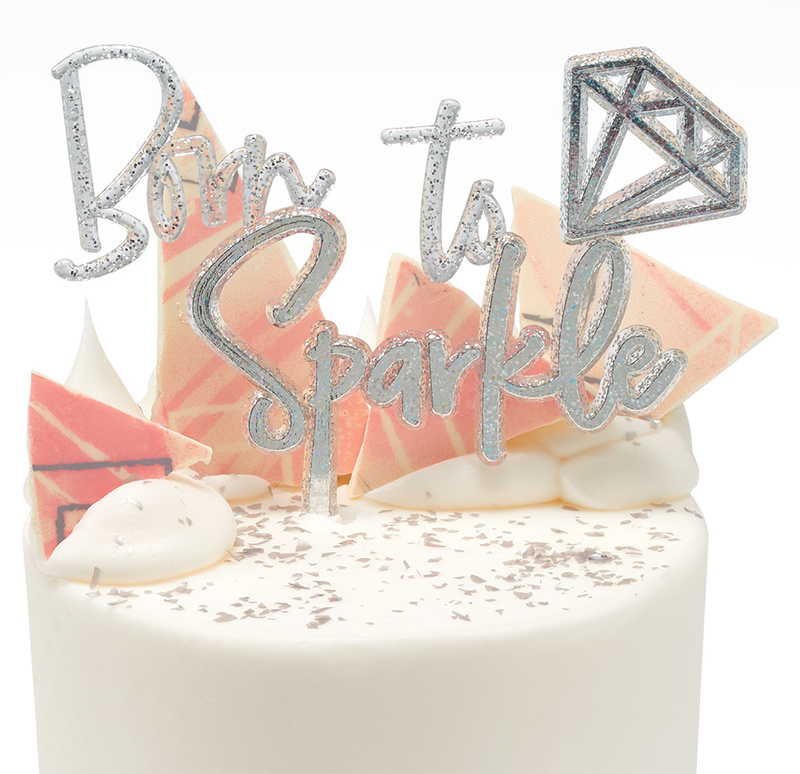 Use multi-sized chocolate pieces amid dollops of icing to create a pretty, dimensional backdrop for a Born to Sparkle Layon. And don’t forget the edible glitter… ooh sparkly! 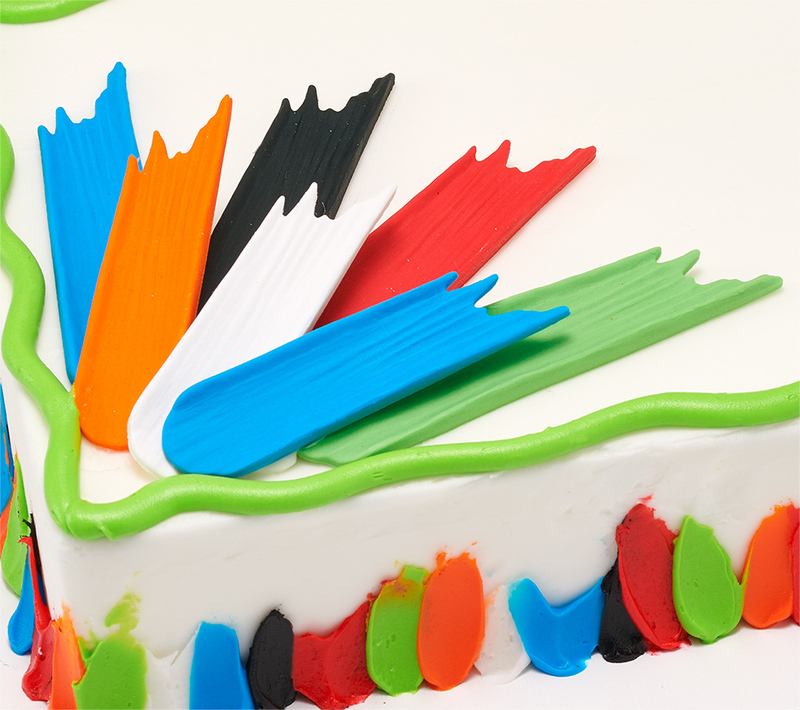 A mash-up of sheer artistry, our Sweet Décor™ Brushstrokes merge the painted cake and tempered chocolate trends into one quick and colorful decorating idea. 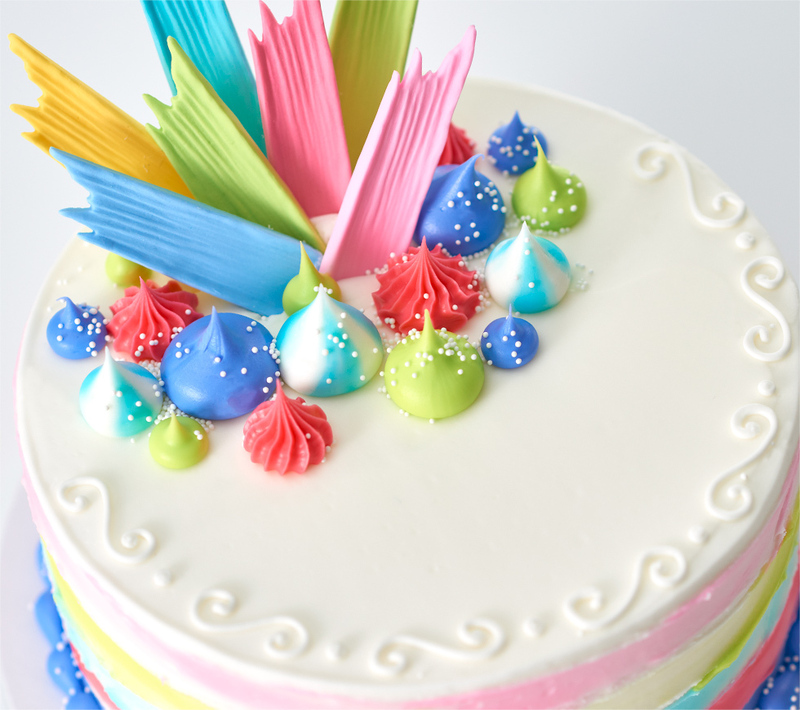 Go big and bold with our Sweet Décor™ Primary Brushstroke pieces fanned out atop a quarter sheet cake and complemented by a multicolored border. 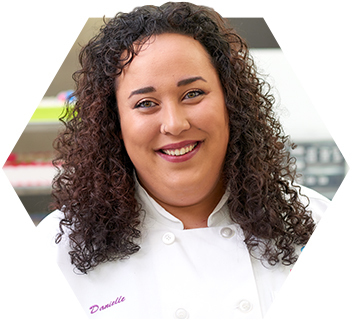 Pro tip: The bottom border was created by piping small dots of icing at the border then dragging each dot upward using an offset spatula. For a dreamy, three-dimensional look, adorn the cake top with upright Sweet Décor™ Pastel Brushstroke pieces, pastel colored dollops and a sprinkle of Non-Pareils. 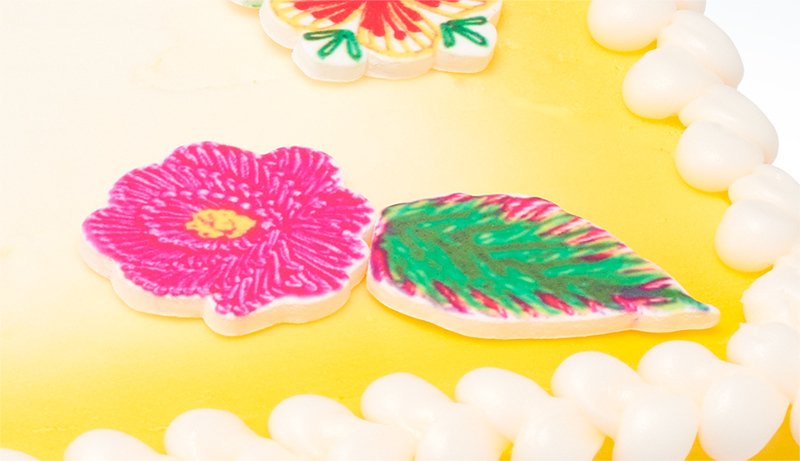 Make the base extra special by piping bands of colored buttercream icing and blending them with an offset spatula to produce a whimsical watercolor effect. For awesome-looking cakes with less effort, these new on-trend decorations make extravagant designs easier than ever. Try them out today in your bakery.